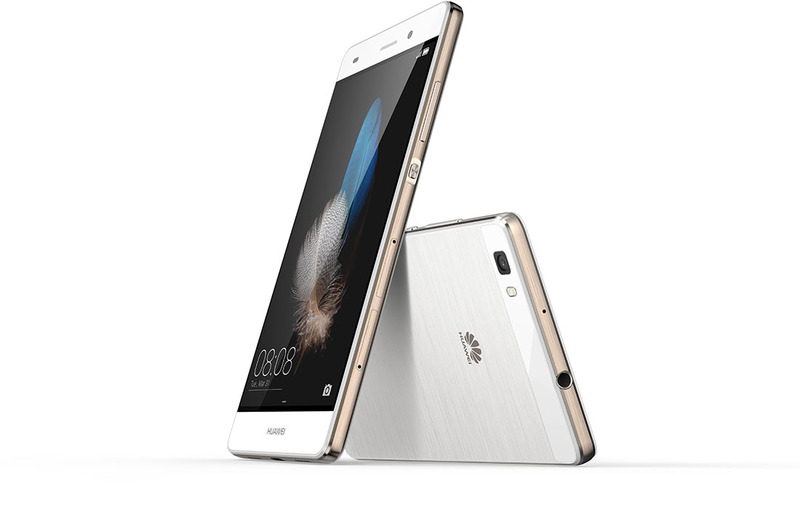 Huawei announced a new phone today for the US, the unlocked and inexpensive Huawei P8 Lite. As the name suggests, this is a slightly trimmed down version of their flagship P8, at least in terms of appearance. 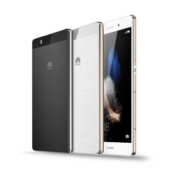 The Huawei P8 Lite is available starting today from retailers like Amazon, B&H Photo, GetHuawei.com, and Target.com for the price of $249. 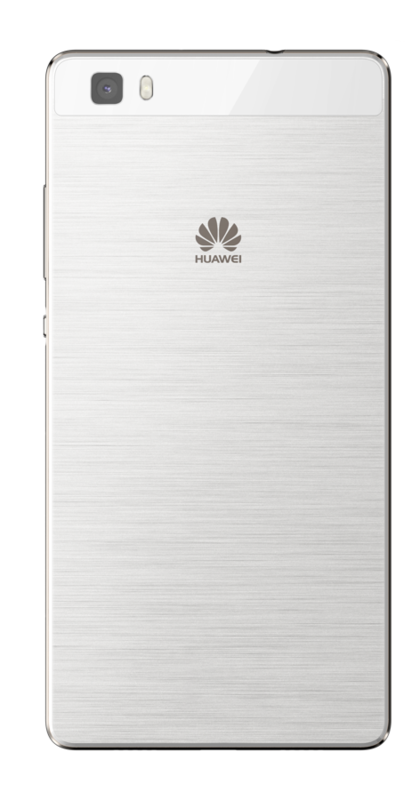 This is an unlocked phone, so we are talking $249 without a contract – you pay for it and it is yours. 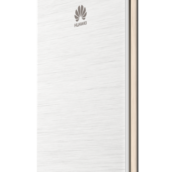 Huawei is doing a couple of innovative things around service with the P8 Lite, including a 2-year warranty with the phone and an option to finance it, even though it does run just $249. So why buy the P8 Lite? Well, it carries pretty decent specs for a phone with that low of a price. 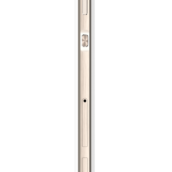 You have a 5-inch HD (720p) display, 2GB RAM, 1.5GHz Snapdragon 615 octa-core processor, 13MP rear camera, 5MP front camera, 2200mAh battery, LTE connectivity on AT&T and T-Mobile, 16GB storage with micro SD support up to 32GB, and Android 4.4.4 KitKat. Yes, it runs KitKat, unfortunately. And I actually have no idea if or when this little guy will see Lollipop. We have an unboxing and first impressions video on the way, so stay tuned for that. 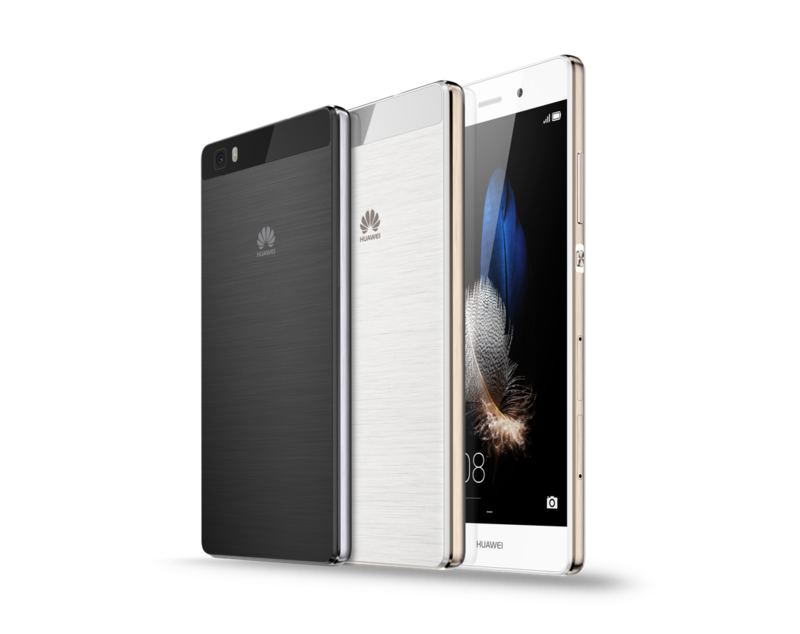 With design and craftsmanship inspired by the company’s premium global flagship devices, Huawei P8 lite’s ultra-slim 7.7mm profile and thin bezels make it perfectly compact and well balanced in the hand. Demonstrating sophisticated design and quality craftsmanship, the metallic appearance of the phone’s back panel is achieved through a layered design of contrasting hues and a hand-crafted satin coating that feels smooth to touch, but glimmers in direct light. Though the unlocked purchase model provides more freedom and choice, there is still an upfront cost for the device. Huawei is removing device sticker shock and giving consumers more flexible payment options by partnering with financial services leader Affirm. Now, consumers who purchase devices on www.GetHuawei.com have the option to select fixed installment plans of three, six and 12-months at the point of sale for device purchases of $99 or more. And once a purchase is made, consumers can have the confidence that it will arrive as promised and with easily accessible customer support thanks to Huawei’s partnership with trusted fulfillment provider Amazon. 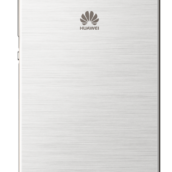 P8 lite is available beginning today, June 3, through Huawei’s ecommerce site, GetHuawei.com, Amazon.com, B&H in-store and online, Fry’s Electronics in-store and online, Target.com and various dealer networks. 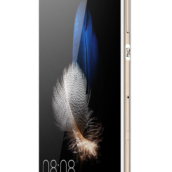 P8 lite will also be coming soon to BestBuy.com and select Best Buy stores. In celebration of GetHuawei.com’s one-year anniversary, consumers who are registered or register on the website between June 3 and June 6 will receive promotional incentives good for discounts on select products, including the newly launched P8 lite, Mate2 and SnapTo. 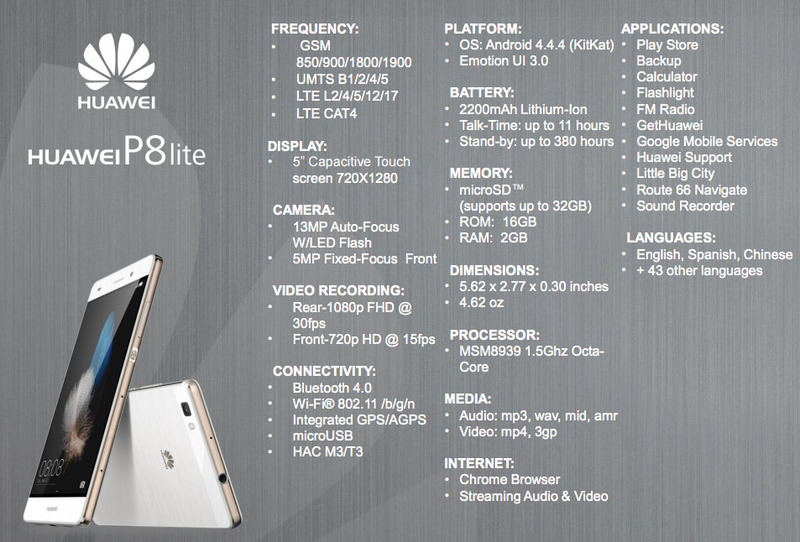 For more information about the P8 lite, visit http://www.gethuawei.com/p8lite.html.